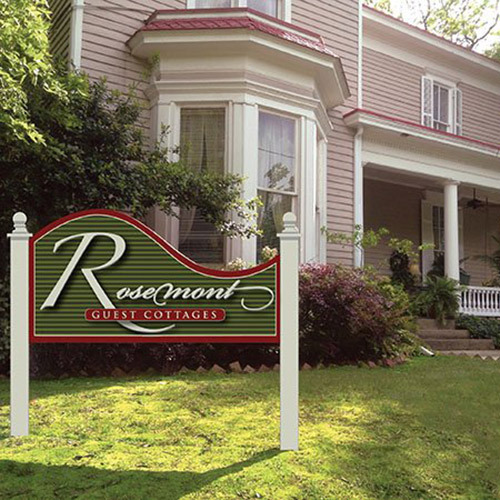 Rosemont Guest Cottages blog: Things to do in urban Little Rock start on South Main and are walking distance from neighborhood lodging. 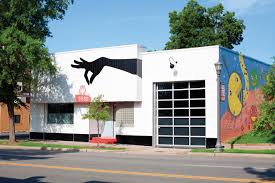 Things to do in urban Little Rock start on South Main and are walking distance from neighborhood lodging. Vibrant South Main offers some of Little Rock's newest and best local eateries starting with South on Main Restaurant. 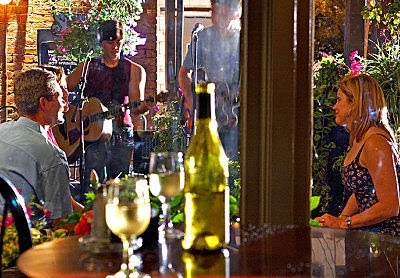 Closed on Monday but open every other night and daily for lunch with the extra added kick of live music on Wednesday nights. Less upscale but a whole lot of fun and great fresh, organic food would be breakfast or lunch at the Root Café. On a mild day, you can sit outside at an oilcloth covered table, tether your dog, eat, and watch the world go by. For a casual menu and good downtown energy, Prio's is the perfect choice. Gourmet pizza is their signature offering but the appetizer options are broad and appealing as is their wine selection. Also, its a great wine bar for before of after other events. Rounding out the group is Boulevard Bread and Community Bakery, both have pastries so luscious they break all the rules plus soups, sandwiches, salads and other house specialties. Outdoor seating is available and a view of Main Street. Not to be missed is Esse Purse Museum, just two doors down the street from Root Café and one of only three purse museums in North America. It is a cultural history of our country as seen through the things women have carried over the years, and, the Museum Store holds untold treasures. 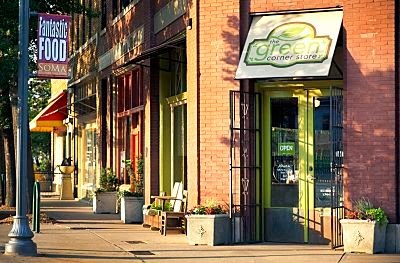 More treasures await you down the street at The Green Corner Store, Moxy Modern Mercantile and across the street at Sweet Home Vintage Furnishings. Prowling through these stores is a step back to the days when shops were fun! Loblolly Creamery has an old-fashion ice cream counter and shop inside the Green Store ... definitely worth the time and calories. Everything Loblolly serves is organic, fresh, and local. On Sundays a visit to the Farmer's Market at Bernice Garden is a must. Grab something sweet from one of the vendors selling handmade pastries and coffee, then enjoy the seasonal bounty on display. 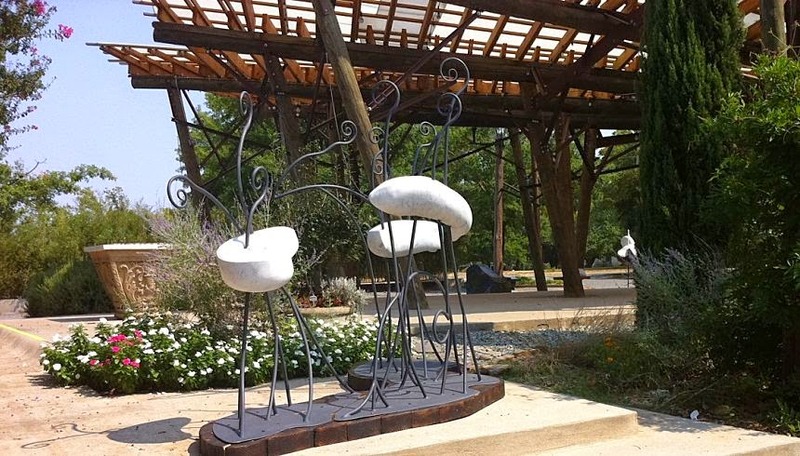 Eye candy extraordinaire are the sculptures in Bernice Garden. If you are lucky enough to be in Little Rock on the right Tuesday night of each month, treat yourself to Tales of the South, the popular NPR program recorded live at Best Impressions Restaurant at the Arkansas Arts Center located in McArthur Park. These outstanding neighborhood venues make for a unique evening out. Other nearby Little Rock points of interest include the River Market District and the Clinton Library where you just might run into the former president and the former Secretary of State. Regardless of your politics, it is a rush to meet Bill or Hillary Clinton in the hallway, restaurant, or strolling down the street. A sharp turn to the west from South Main and you can visit the acclaimed Central High Museum or head straight down Main Street to The Rep, one of the finest repertory theaters in the country. Perhaps you will want to enjoy a before-performance Italian experience at Bruno's Little Italy or more trendy fare at Samantha's Tap Room & Wood Grill, both are on Main Street and are owned by long time local restaurateurs. Attractions in Little Rock are bountiful. This is only a small sampling of ways our guests spend some of their time in Little Rock. 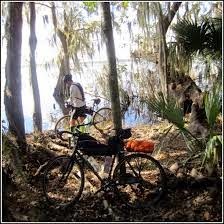 Great outdoor adventures also await you such as the numerous Bike Trails and the phenomenal Big Dam Bridge. 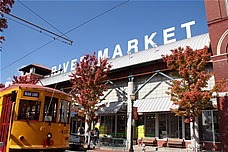 Not to mention shops and restaurants galore in other nearby historic neighborhoods. So much to do ... so little time! That's why many visitors come back again and again.